Willem Leppink heads the IP and marketing law group at Ploum. He focuses on trademarks (including filing and prosecution), designs, copyright, unfair competition and unfair commercial practices and domain names. In addition to representing international household names in major trademark and advertising disputes, he helps clients to coordinate brand and marketing-related projects around the globe. Based in the heart of Europe’s largest port, Mr Leppink assists brand owners in setting up and managing pan-European customs border detention orders and programmes to combat unauthorised parallel trade. In cooperation with his well-established network of local counsel, he has managed projects ranging from advertising to trademark clearance, and from consumer warranties to website localisation and environmental compliance. He takes pride in ensuring that his clients understand the challenges that they face when operating across multiple jurisdictions. Mr Leppink studied at Western Carolina University and graduated from Groningen University. He joined Ploum in 2009. Before this, he was a partner at NautaDutilh and Simmons & Simmons. Mr Leppink is a member of the executive committee of MARQUES, the European Association of Trademark Owners, chair of its Anti-fraud Taskforce and honorary member of the Netherlands Advertising Law Association. In addition, he is the chair of the Benelux Foundation for the Professional Education of Trademark and Design Attorneys. 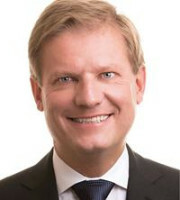 He is also a legal rights objections expert and a domain name panellist with the World Intellectual Property Organisation for Uniform Domain Name Dispute Resolution Policy, ‘.eu’ and ‘.nl’ disputes, and with the Czech Arbitration Court for ‘.eu’ disputes. He is on the editorial boards of the Journal of Intellectual Property Law & Practice and the European Copyright and Design Reports. He regularly lectures at various universities. He has been recommended in the WTR 1000 since its inception.